Recognize a Celebrity. A very addictive App game. Enjoy ! 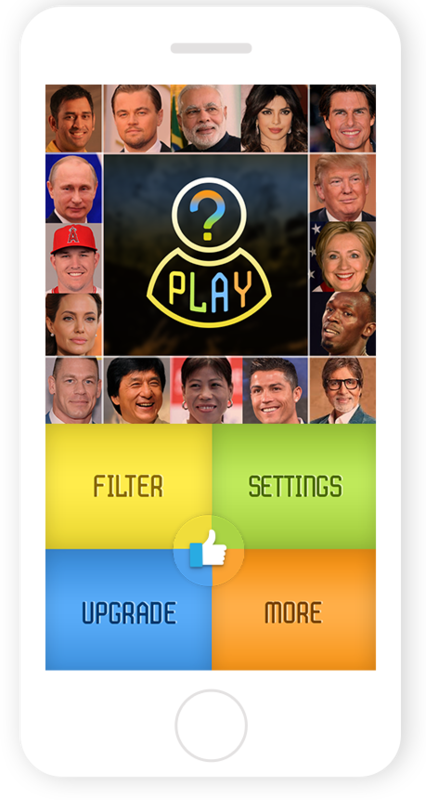 Play this simple, scoring game to test your cognition skills by spotting the celebrity face among others. This is a pretty addictive game so mind it. Have Fun ! 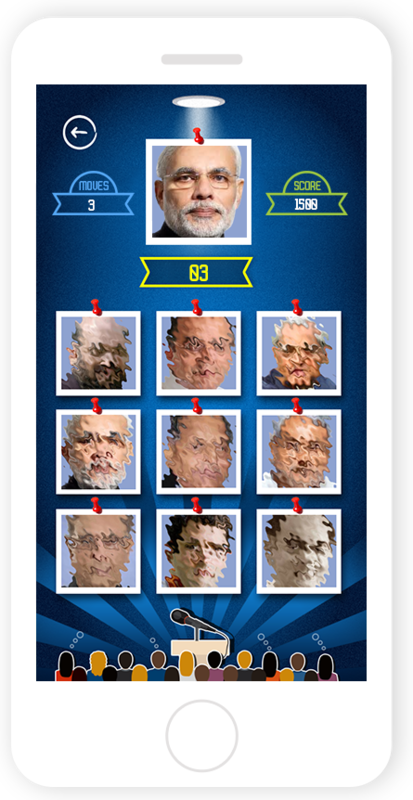 The game is about identifying a given celebrity from among a set of nine distorted faces. There are three Celebrity Choices of Movie Stars, Sports Persons and Politicians and you may choose to play for any one of the three. 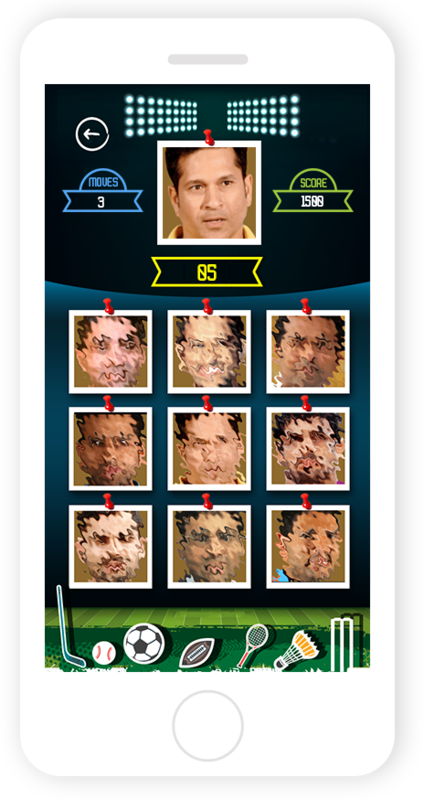 Once the game starts you will need to pick the right image for the celebrity shown on top from among the nine distorted images below. This needs to be done within the fixed moves and time in seconds, depending on the Game Level you have chosen. Game will end on either the expiry of moves or time, whichever is earlier. 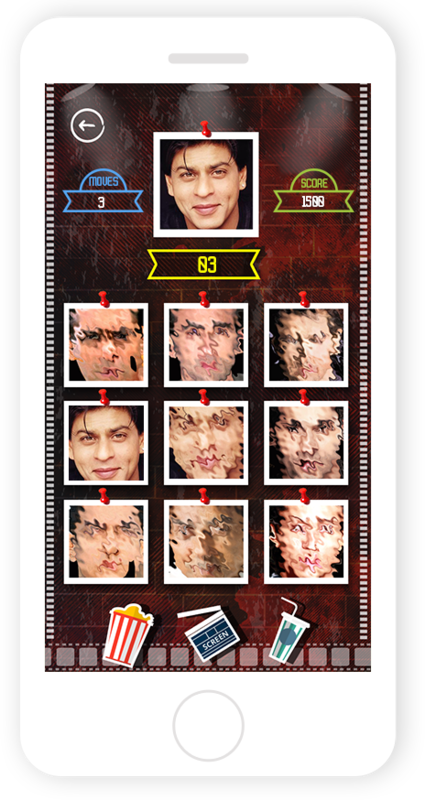 Scores are based on the time and number of moves taken to identify a celebrity. Scoring is also dependent on the Game Level you are playing on. You achieve high scores for less moves, less time and high Game Level (Normal to Expert). Your Current Score is the score of your last game. 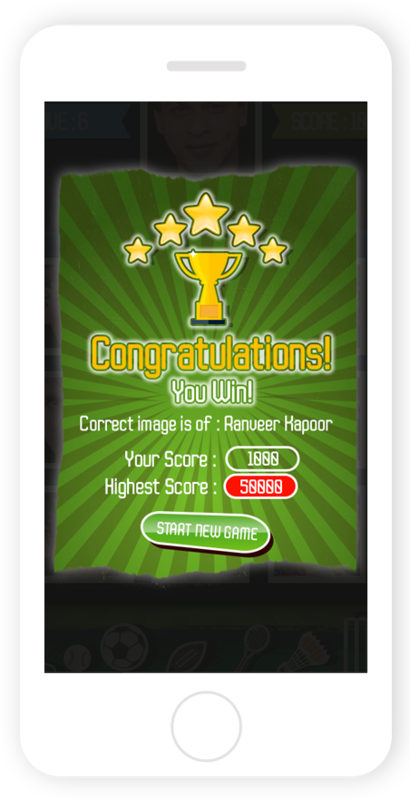 Highest Score is the highest score achievable on Celebrity Recall at the highest Game Level. 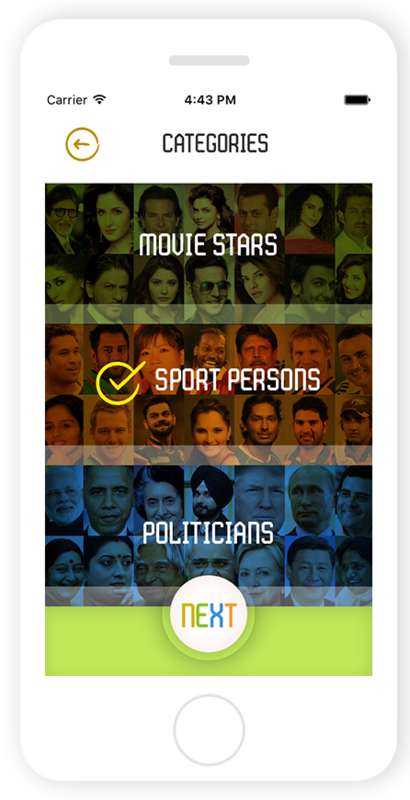 Tap on any of the three categories to select your Celebrity Category, then tap on NEXT. Tap on any of the three levels to select your Game Level. Tap on START to play. Toggle the Sound to OFF. You may upgrade the game get rid of the advertisement banners by paying US$ 0.90.